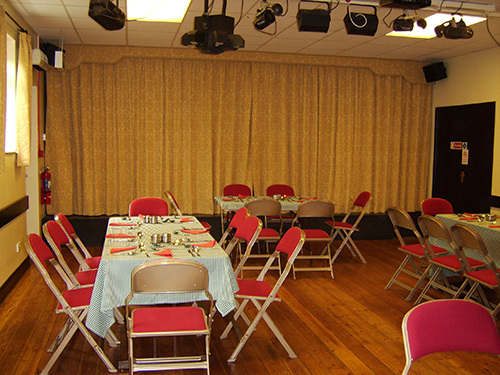 Alvingham Village Hall is a friendly, intimate and versatile event space that has welcomed many villagers and their guests since 1948. Having recently undergone refurbishments such as the installation of a new Bose sound system, neutral curtains and upholstery, a new notice board, new carpet and a fresh paint throughout it is set to continue being a fantastic venue for years to come. 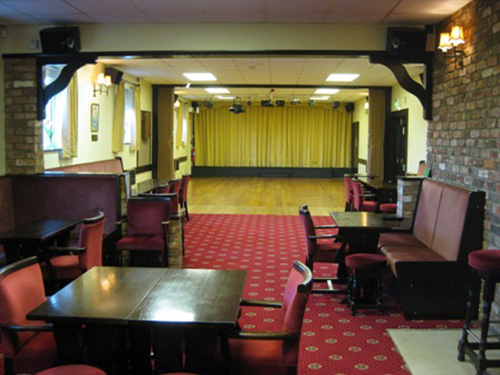 It is an ideal venue for parties, weddings, Christenings, dinner dances, meetings and many other functions you may wish to have. Click here to enquire about hire of the hall. Hire of the hall includes the use of 96 comfortable banqueting chairs, 6 Ft and 4Ft banqueting tables. 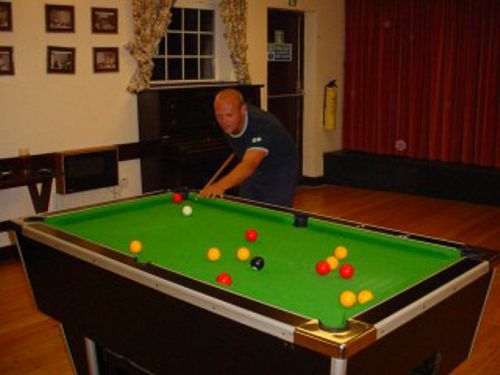 The bar area offers comfortable tables and chairs and also has an outdoor patio area with views across the village. It has a modern well equipped kitchen including refrigeration, ovens, bain maries, microwaves, dishwasher etc which allow you to bring in a caterer of your choice or provide catering yourself. Catering facilities have maintained 5 hygiene stars from East Lindsey District Council. Also available to hire by separate negotiation are stage lights, P. A system and the A.V Projector and screen. 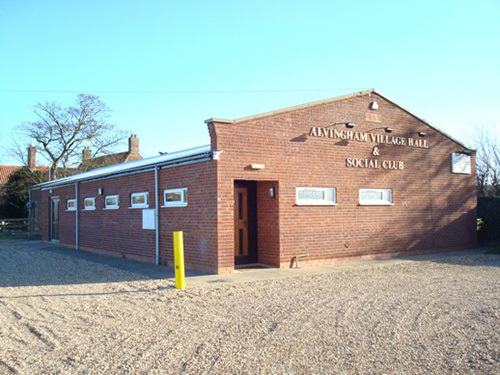 Alvingham Village Hall is one of only a few venues with its own licensed bar, operated by Alvingham Social Club. It offers draught beers, a wide range of spirits, wines and soft drinks. Click here to see more photos of the hall.